Gallery of San Jose Horse Property & Bay Area Equestrian Homes. Gallery Horse Property California – Los Altos Hills, Los Gatos, Milpitas, Sacramento, Santa Rosa, Stockton, Yuba City, Fresno, Modesto, Merced and Central California Areas. Selling a Horse Property in San Jose? San Jose Horse property is available on the outskirts of the city. If you are looking for horse property for sale in North California or South California, San Jose offers the best of both worlds in the center of the state. With mountains and open spaces, trails and plenty of space to our south and east you’ll be surprised at the horse property choices here. We have identified listings that have barns, arenas, paddocks, fencing and more. If you don’t find what you need, let us search our MLS for you and send you a list of properties that better match your equestrian needs. We understand horse property buyers look in a wider area to find the property with the right equestrian facilities. While we cannot serve all the areas, we are bringing you many of the available properties in cities surrounding San Jose for you to browse. If you chose an area we are not able to service, we will be more than happy to connect you with an equestrian specialist real estate agent in the areas you are looking at. Browse our expanded gallery of equestrian homes and facilities here. Whether you have one horse or need large stables there are some world class equestrian facilities in California. From minimum acreage to support one pony or extensive parcels of land with up to 14,000 acres, you’re spoilt for choice of both luxury horse property and more affordable. If you need a horse ranch, the San Jose and Bay area has those as well. Located close to the tech center of San Jose, it’s not too far to pick properties with extensive acreage, swimming pools, tennis courts and magnificent architecture and estate homes, even mansions. Property types include sprawling ranches, Spanish style homes and contemporary properties. If you want to build your own world class equestrian farm, look for the land available as well. Many of our country properties zoned for horses are smaller and more affordable. Just let us know what your dream horse property is and we’ll help you find it. Not all properties will have the equestrian facilities you need. We suggest focusing on properties zoned for horses that provide the right living accommodation as a start point. Then look for the facilities you need or determine if a property can support your additional buildings. 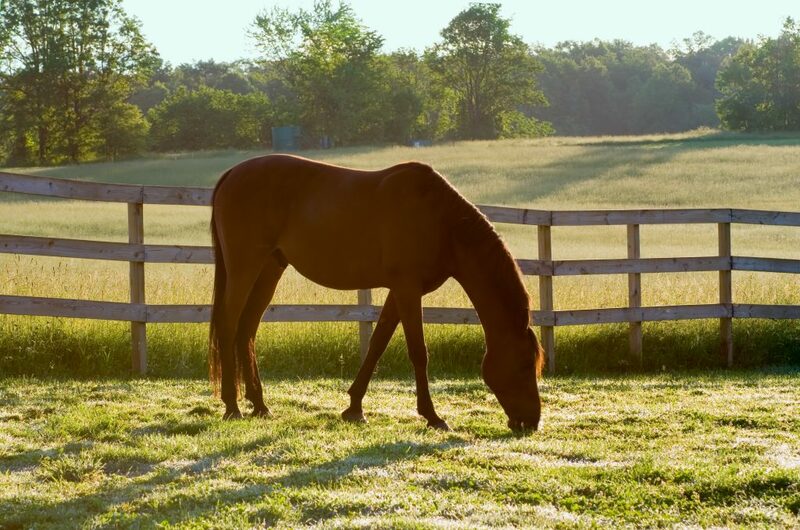 Many horse property buyers like to create their own facility to suit their needs. Whatever your wish list is, be opened minded to making additions or changes to find the perfect place to call home, for your family and your horses. Only someone who understand what horse property buyers want should represent sellers. Depending on a buyers budget, the equestrian facilities can often be more important than the residence. Marketing horse properties is much more than adding it to the MLS and hoping. Buyers of horse property search a much larger area of real estate and want to know what you are offering. Yes the house is important but that’s not the only aspect of their search. They are looking for how many stalls your barn has, what type of fencing you have, how old is your barn, how many paddocks are fenced, do you have an arena and is it indoor or outdoor. They also need to know if you are in a corporated city or unincorporated area. Buyers search many different places online so exposure to some of the horse property websites is also important. We’ll put together a marketing plan just for you and your property to gain the widest buyer audience. We also make sure photos of your facilities are included as we feel necessary. Photos can sell your equestrian property just as much as they can sell a residence. Our marketing encompasses everything you have to offer. Average marketing time – Generally horse properties and the high end properties are going to take longer to sell. Ask me for an average marketing time when we talk. Then your expectations are set from the start and you won’t be frustrated. When you are ready to buy or sell an equestrian property, connect with Kathleen. As a San Jose horse property expert, she’ll learn more about you, your goals, and is ready to provide her expertise in your quest.